The Harrison’s have farmed at Castlerigg since the early 1900’s. 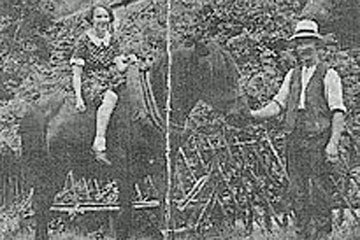 Great Grandad Izia and Great Grandma Amelia started the farm. Not only did they farm but they had a milk round as well. 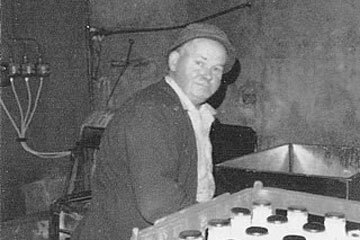 The milk was delivered by horse and cart and ladled out in to containers from a milk churn. 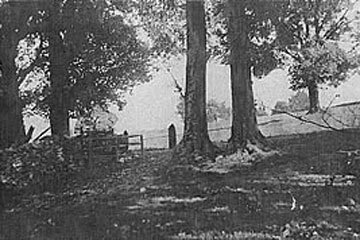 The campsite started in 1918, a passing camper asked if he could put his tent in the field for the night, little did he know what he was starting. Word soon spread about the panoramic views and the peacefulness of the area and campers started to come to the farm. The original toilet was in the farm house garden and beside it was a cold water tap. 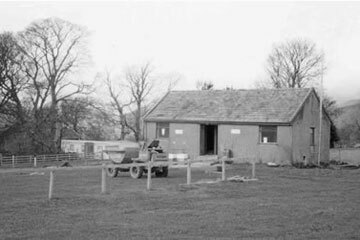 In the mid 70s a purpose built toilet block was built on the site where it is now. The old block had 2 showers, 4 wash hand basins and 2 outside sinks for washing dishes. Apart from the showers all the other water was cold, even the water for washing dishes. 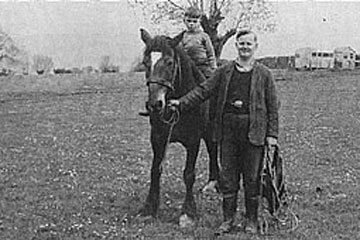 After Izia, John William was the next generation, John William and his wife had 5 children, Peggy the eldest followed by Ronnie, Wilfred, Frank and Gordon. 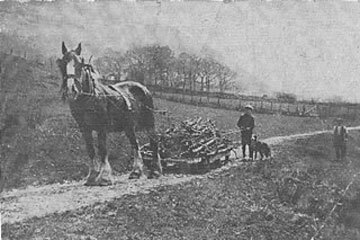 After John Williams died in 1974, three of the brothers Ronnie, Wilf and Gordon continued farming and worked together until they retired in 1989, this was when Wilf’s son Raymond and his wife Doris took over the running of the farm. Two of the brothers, Ronnie and Gordon continued to run the campsite until 1997 when Ronnie died. After Ronnie’s death Doris started working at the campsite. In those days the campsite was not as busy as it is today and twice a day Doris would clean the toilets and collect the money from the campers. In 2000 it was decided to modernise the site facilities. New showers, toilets, dish washing room, laundry room and shop were built, the new buildings were completed and opened for the start of the season in March 2002. 31st May 2002 the farm contracted foot and mouth, the devastation brought an end to the main farm and Doris and Raymond decided to concentrate on the campsite. 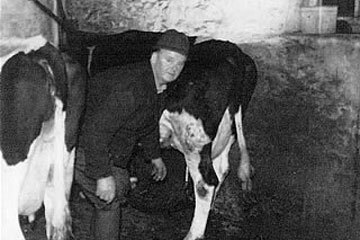 Gordon Harrison is in his 80’s and still keeps a few cows. As always the cows all have names, Susie, Jill, Adam Marra, Julia & Charles they are still hand fed and cleaned out with a shovel and wheelbarrow, none of your modern farm machinery here. 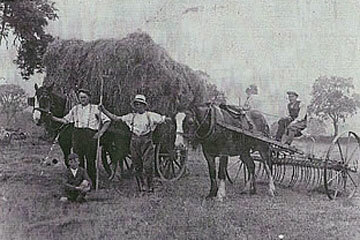 Grandad Harrison in the middle with the white hat, using the horses to gather up the hay and take it back to Castlerigg Farm. Bringing the wood back home for the winter fires in the farm house. 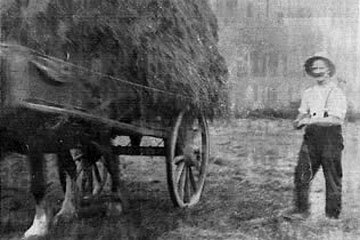 Before machinery, hay timing had to be done manually. 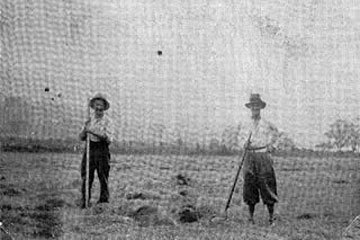 This picture shows granddad, on the left, spreading out the grass so it will dry and turn to hay. 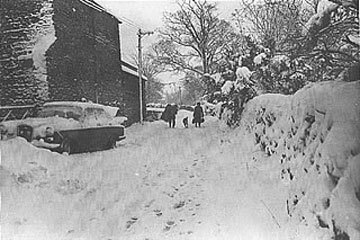 Winter time in the lane outside Castlerigg Farm, Ronnie Harrison on the left, taking a bale of hay for the sheep and neighbour Mrs Cockbain on her way to Keswick to do her shopping. The hay is loaded on the cart, now it’s on its way back to Castlerigg Farm to keep the cows fed over the winter. 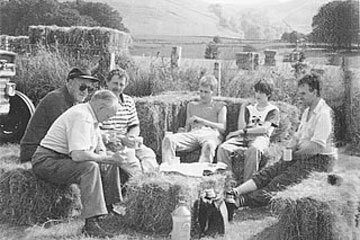 Wilf Harrison (white shirt), on the right Ray Harrison, second right Phil Harrison with friends having a break at hay time. 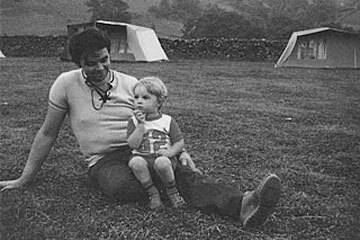 Ray Harrison and his son Phil in the camp field 1982. 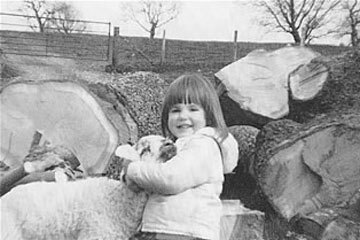 Emma Harrison helping to look after the lambs 1984. The original toilet block – replaced in 2000.